It’s always good to hear of a new product to hit the market and with a story of one person wanting to make a dream come true. Tom Hurst had a dream to make a sweet and lime spiced rum for a couple of years, but never thought that LWC, an independent drinks wholesaler in the UK, would offer the chance to be able to create and manage a brand. With this chance, Admiral Vernon’s Old J was born. But who is Admiral Vernon? Well in 1740, Admiral Edward Vernonenforced a reduction in the strength of the British Navy’s rum ration. When his men complained, Vernon suggested the addition of limes and sugar to make the drink more enjoyable. 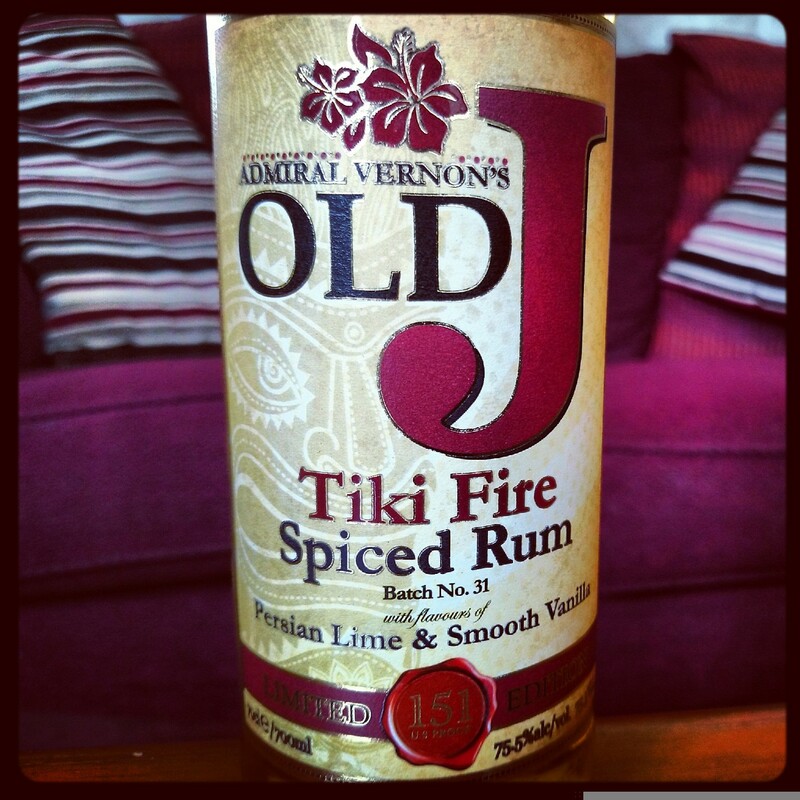 “Old J” has been created in honour of Admiral Vernon, who was known as “Old Grog”. “Old J” however brings Vernon’s concept into the 21st Century by using the finest Caribbean rum combined with a blend of spices, sugar, vanilla and Persian lime. Starting in April 2012, Tom worked with a flavour lab to create over sixty variants before finally choosing a liquid. He also made sure that it was reworked with coke added to make sure that it would match perfectly with one of the key mixers of rums. Soft hint of lime surrounds a good hit of sweet vanilla on the nose and carries onto the palate. Nice warming with a good dose of vanilla and a growing spice as it develops during a very long offering. A little dry near the end. A surprisingly smooth offering with only a delicate spice and not too overpowering. Easy to drink and I can see why attention has also been taken to work it well with mixers. Old J describe their perfect serve as ‘served over ice with coke or ginger beer and a couple of fresh lime wedges’ with a top tip of dragging a lime wedge around the top of the glass before serving. Released in 2014. Vanilla aromas on the nose with a slight lime coming through the heavy sweetness. Light on the palate, with the vanilla ever present, and lime flavours cutting through, making this tot rather palatable. Lingers too. Refreshing, all year round rum with serves to please all crowds, and that’s the overproof! One man and his dream makes everyone a winner!